and has been viewed 3,953 times. I would love to find a committed partner to work hard with as a team representting Mexico. It would be a great challenge and a great opportunity to improve scores and compete in high level international competitions such as Worlds and Four Continents. 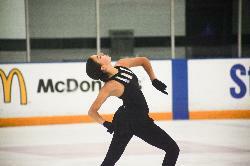 I have been skating since I was 9 years old and I started competing internationally representing Italy at the age of 13, and at the age of 15, I started competing senior internationally. For the season 2017/2018 I made the decision to switch flags and start competing for Mexico. I am a very disciplined and a hard worker. I am also a very positive person who adapts easily to change, and I am looking forward to growing in the sport along my partner. I trained 8 years in Los Angeles, California with Christa Fassi and Frank Carrol, but I spent most of my skating career training in Torino, Italy, as I was mostly competing in Italy and Europe. I am willing to move for the right opportunity!